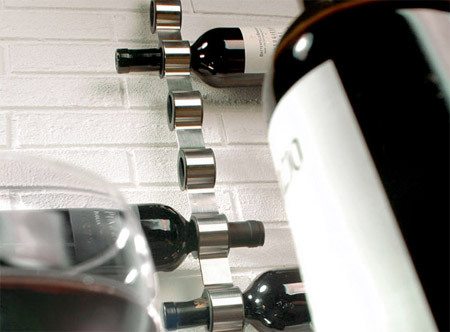 This clever wine rack is able to accommodate eleven bottles of wine. 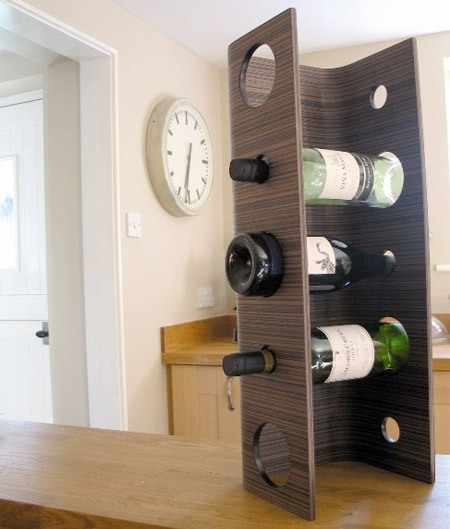 Six wine bottles can be displayed and stored on this cool wine rack. 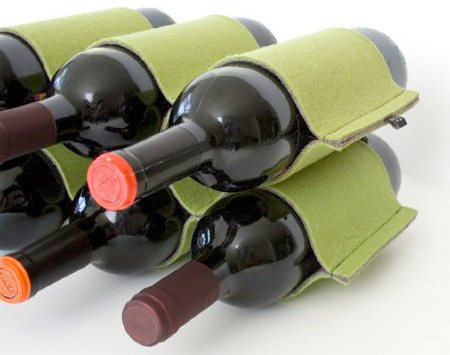 Bottles rest at an angle that keeps the wine in contact with the cork. Holes are strategically placed to hide the bottles that were taken out. 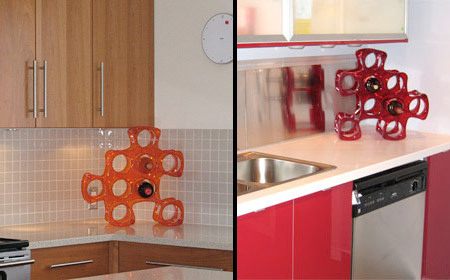 This awesome wine rack enables interlocking of units both horizontally and vertically, creating different configuration and color combinations. 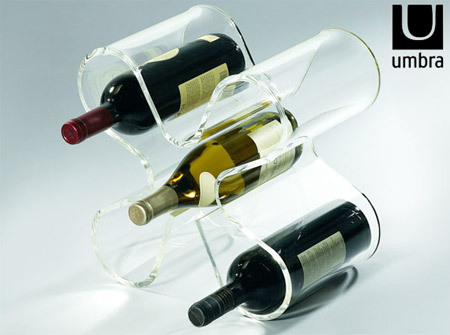 Crafted from a single piece of clear acrylic, this wine rack has a flowing form that can hold up to six wine bottles. 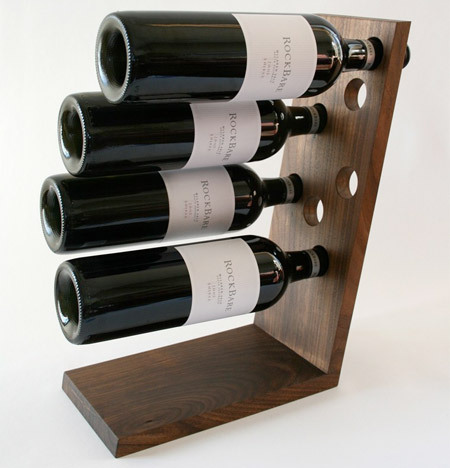 Modern wine rack made out of wood is able to hold six wine bottles. 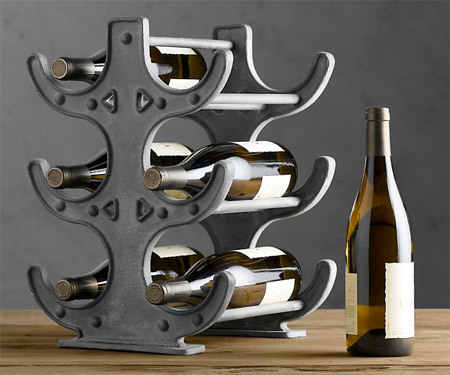 Made from naturally recyclable materials, this wine rack holds up to six wine bottles and collapses flat for easy storage. Elegant wine rack where bottles are held in place just by their necks. 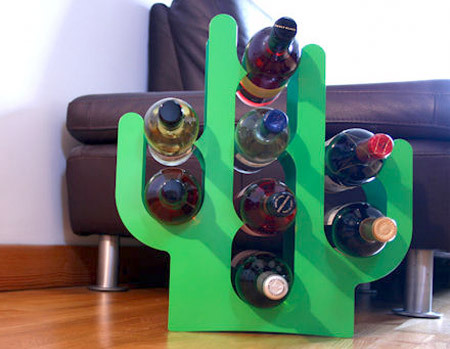 Creative wine rack allows bottles to rest on the subtle cactus spikes. 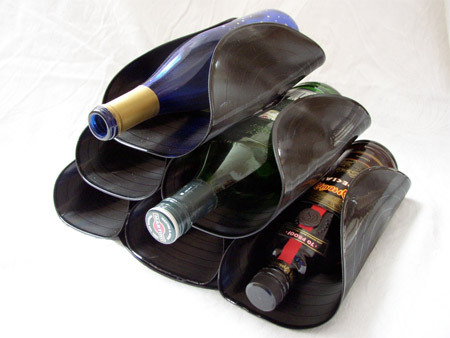 This unique wine rack has been made from recycled vinyl records. 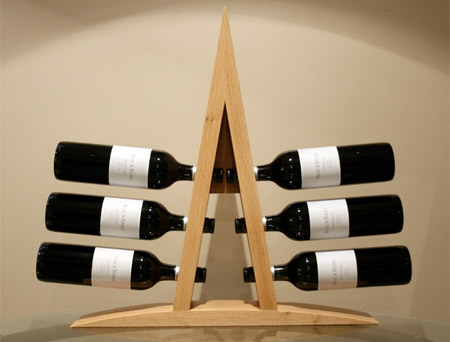 Beautiful wine rack designed to hold up to ten bottles of wine. 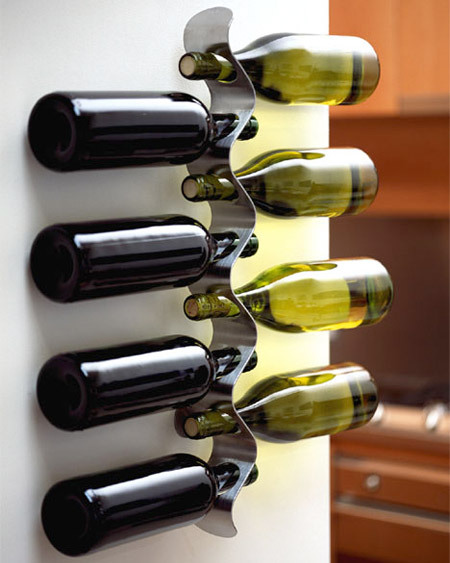 This cool wine rack can be wall mounted or placed on the counter. 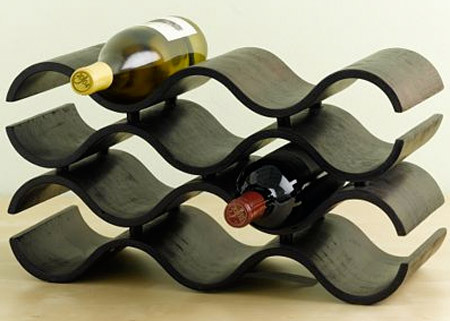 Inspired by the flow of liquid, this wine rack will hold eight bottles. I’d take the factory one for my kitchen! 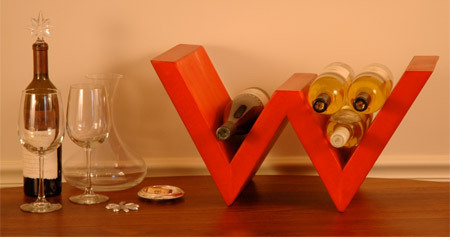 might be a bad idea to put the wine bottles upside down……..
where do i buy, they are too fabulous!!! !